Like 4 months till BASS season? Almost as bad as not fishing! Thank god for pike, it keeps my casting in form! LOL Bucktail, in this less civilized colony bass season is only closed on Lake Erie, like May 1 to the 3rd saturday in june. 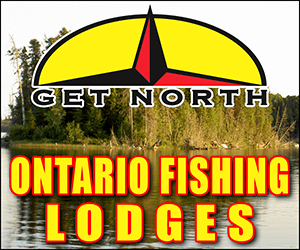 Inland lakes wide open, Muskies too open all year. Hey Paul, here's a web site for ya, while you're waiting. All the bass shows you'd like on-line while you wait for the opener. Ok, it's no substitution but it's the best I got! Thanks Mike, I like Fish Fishburne. Here in Michigan the catch & release bass season starts April 26th. 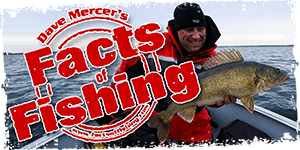 The regular season opens May 25th except on Lake St. Clair, St. Clair River, & the Detroit River, which starts the same as the Ontario bass season (3rd Saturday in June I think). I'll be hitting Lake St. Clair for some C&R Bass first thing April 26th. Darren... I can't even do the pike come ice out. They changed the regs from open year round to matching the pickeral season! DANG! Yup.. us angler's really are going to have to practice our patience until we can target bass.. thankfully we live in a province where the species of fish are so diverse you can always target something.. As soon as the weather gets a little bit better out It's time to target some lake ontario pike, and test out the brown trout bite..
Wayne.... I didnt notice that! Is it 2 and 2 now for pike and walleye? I really need to read the new regs! May 1st Geo Bay pike. This year ill bring my auger! dang. come on t.o. pike!! gotta make a date with some fellow ofners to head out. Don't know Darren... only printed the regs for Zone 11 and keep forgetting to grab a reg book at CTC everytime I'm in there... including 40 minutes ago! tdot not many pike here, I know a couple of places to get them early season like late march early april, it takes some effort and you wind up catching bass and walleye in the process. Since the areas are off of Erie I avoid them. Open all year in 'Bama, just a little harder to catch in the winter.